Locate the account that you wish to delete from the list, and select the check-box before it. 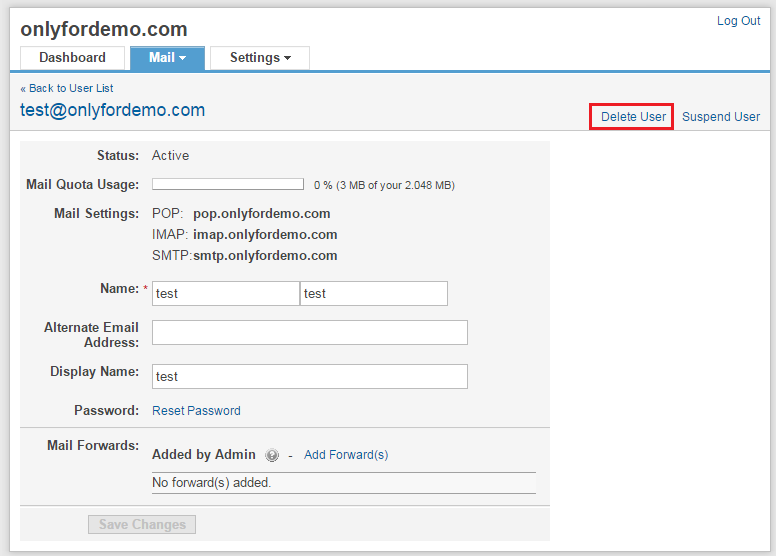 You can select multiple accounts for deletion at the same time. It is important to note that once you have deleted a user account, it can not be restored at all. If you wish to re-enable the user, you would have to create a new user account with that address. Kindly make sure, that you have a taken a backup of the email account before you have deleted the email address.